Environmental Thoughts - Rochester, NY: Just how urgent is addressing Climate Change? 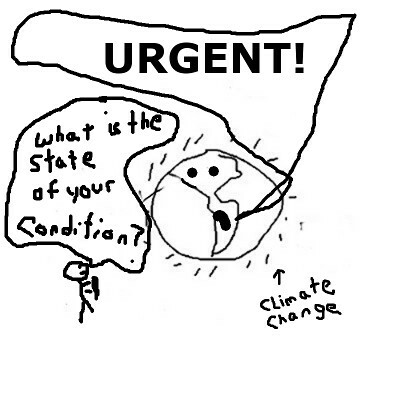 Just how urgent is addressing Climate Change? 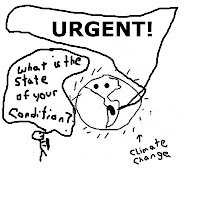 Some say Climate Change is all a hoax; some say it’s too late; some say it’s very urgent but not hopeless. 2. The Uninhabitable Earth, Annotated Edition The facts, research, and science behind the climate-change article that explored our planet’s worst-case scenarios. By David Wallace-Wells (July 14, 2017) New York Magazine. I don’t think anyone has a real handle on the best way to communicate Climate Change because it’s so complicated and divisive. Predictions (educated guesses) are necessary because we need to plan, but they can be very bleak. And, with the election of Trump, climate denial has been given a new (monstrous) life that must be resisted at every unsustainable twist. Climate Change communicators should bake indicators (like the amount of carbon dioxide in the atmosphere) and other climate gages into their messaging. Keeping the public on track that Climate Change isn’t an issue, but our new reality, can be consistently validated with the latest objective information on where we are at any given point in this crisis. The EPA in 2016, just before Pruitt arrived on the scene, published their most recent report “Climate Change Indicators in the United States”. (It still looks valid.) Other governments and organizations are probably publishing their Climate Change indicators too. We need all the environmental feedback we can get. Rather than prioritizing optimism or pessimism, it would be more useful for communicators to keep humanity informed on how our planet is actually responding to the warming. If we don’t keep exact track of the indicators of Climate Change, many of our efforts will be delusional—making our efforts to communicate this crisis delusional as well.